If you've never been to Disney World, I would bet a lot of money that you're planning to go. Even if you've been before, I'd be willing to bet (not as much money) that you're planning on going back. Never heard of it? I'm not surprised. I had never heard of it until my cousin and her husband moved there. Not that I was especially up-to-date on my Florida geography since I'm not a huge fan of the state as a whole. But the town is only about a 30 minute drive from the heart of Disney, it's ridiculously adorable, and there is not a single touristy thing about it. It's awesome. Now, my cousin and her hubby have lived in Winter Garden for a few years, but I didn't really get to absorb all the charm of this little town until my last visit, where I actually stayed in a fantastic bed and breakfast smack in the center of town. The family converged on the town for a surprise party for my cousin, so we all had to lay low and stay, well, anywhere but her house. On previous trips to the town, my cousin and I would just hole up in their house catching up, doing something along the lines of drinking PBR and watching Top Gun in our pajamas (which is a glorious thing to do with your weekend, actually). Actually staying downtown gave me a chance to really experience the life and flavor of this town. It's completely different from Disney. It's completely different from the beach towns and cities. Being in Winter Garden almost felt like going back in time. The whole place has an old-fashioned, casual feel. 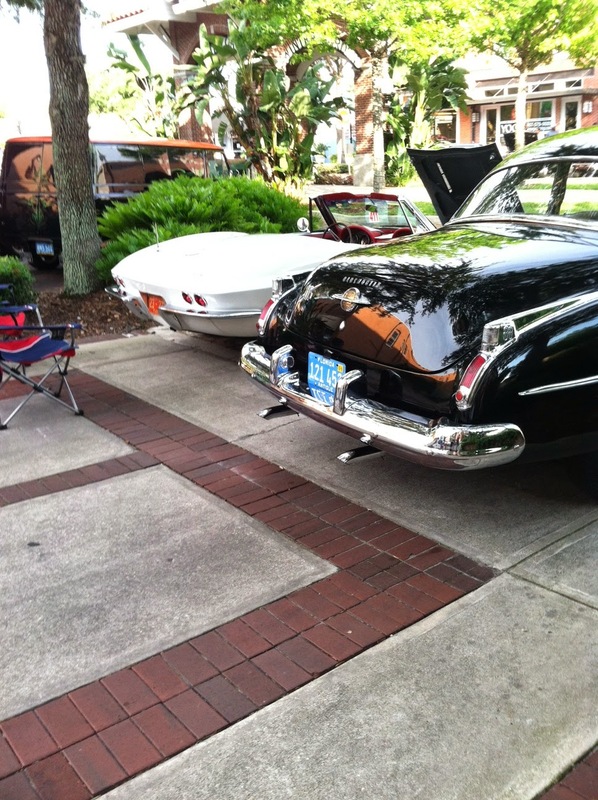 And on the third Saturday of every month, downtown holds an event called Cruz-N-Cars. 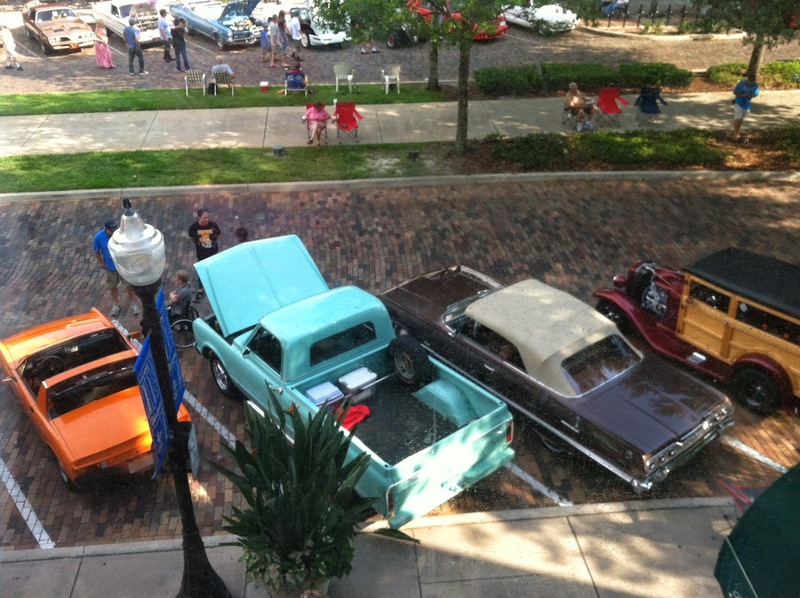 People from all over God-knows-where converge on the downtown strip and show off their classic cars. Oldies music is blasted from somewhere. People bring out their camp chairs and just sit on the street enjoying the cars, talking to passers-by, and simply relax. It's fantastic. And if you don't like old cars and good music and chilling outside, you are a terrorist. I don't even care about cars, but this is still cool. Downtown Winter Garden even has solid food choices. Good luck finding awesome food anywhere inside Disney except for Epcot. Thai Blossom Restaurant rocks. If you're in a pizza mood, Winter Garden Pizza is delicious. And Moon Cricket Grille is a standard but solid place to enjoy a few beers. Did I mention that there's a great multi-use trail that also cuts right through downtown? Yeah, they have that, too. And a really nice bike shop tucked among all the great food joints in case you're on two wheels get a flat. Of course, you'll have to brave the oppressive Florida heat and humidity to make use of the trail. And really, that's one of the main reasons I hate the whole dadgum state. But at least they have wintertime going for them. So where is there to stay in this oasis from Disneymania? Well, there's only one hotel downtown, but you won't need another one, because this one is fabulous. It's the Historic Edgewater Hotel, and it's really more of a bed and breakfast. The building is beautiful, they have a fascinating old hand-operated elevator, the rooms are charming and cozy, and they even make you a hot breakfast made to order. I swear, this town really is worth the small commute to and from Disney World. It's a great place to relax and regroup before diving into the crowds, lines, and expense of the theme parks. And if you disagree, I'll be happy to pay up that money I wagered. Which was none, actually, but never mind that.